A multimeter is one of several test instruments often used by technicians and engineers in process plants and facilities for carrying out voltage measurements and troubleshooting to detect faults. 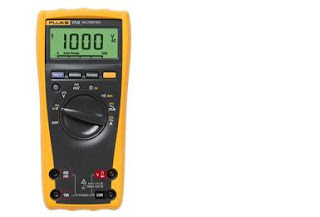 This post introduces the basics of using a multimeter. The information provided here will be useful to technical people who are already aware of the importance of multimeters in measurements and troubleshooting as well as non-technical people who will find this guide very useful. Please read on. Multimeters come in various types, shapes and sizes. 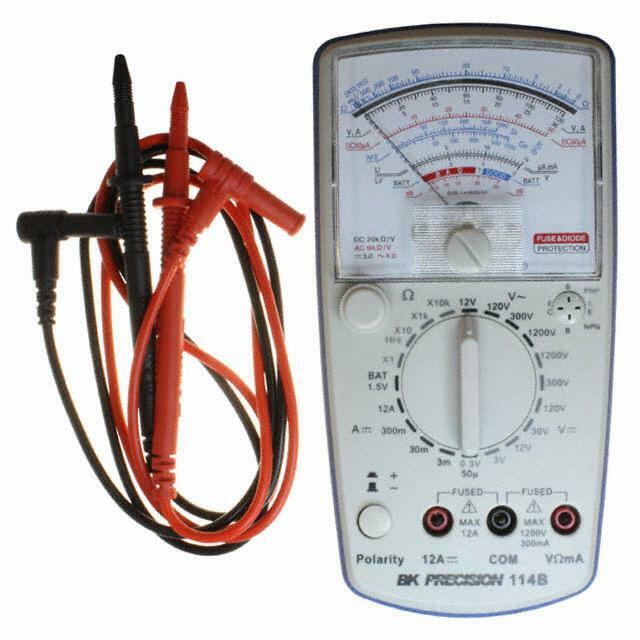 The most common type of multimeter is the volt-ohm-meters. They are grouped in two categories, ANALOG and DIGITAL. The analog VOM is frequently used in conventional troubleshooting but is becoming more obsolete due to digital multi-meters. The VOM can tell the trouble-shooter if voltage is present or not, and can also tell how much is present. Sometimes this additional information can be helpful. Digital multimeters (DMMs) have generally replaced the analog-type multimeter (VOM) as the test device of choice for engineers and technicians especially maintenance personnel because they are easier to read, are often more compact and have greater accuracy. The DMM performs all standard VOM measurement functions of AC and DC. Some offer frequency, capacitance and temperature measurements. Many have such features as peak-hold display that provides short-term memory for capturing the peak value of transient signals as well as audible and visual indications for continuity testing. Infact there are a great diversity of digital multi-meters in the market today. Whatever brand you possess or you wish to purchase, the key is to know how to use your multimeter for your work. Below is shown the picture of the popular fluke 77 model digital multimeter. Multimeters, digital or analog have rotary selector switches for selecting various ranges for current, voltages and resistance. These days, as the design of digital multimeters has improved, we now have digital meters with auto-ranging capability i.e. having the capacity to automatically switch to the desired range of measurement. As can be seen from the pictures of both the analog and digital meters shown above, they all have terminal jacks where the leads for taking readings or measurement are inserted. For the multimeter to be of any use it must first be connected to the circuit or device to be tested. Two leads, one RED and the other BLACK, must be inserted into the correct meter lead jacks. The black lead is connected to the meter jack marked COM or common. The red lead is connected to either of the appropriate jacks depending on what the user wants to measure: OHMS, VOLTS or AMPERES. As shown in the picture for the analog meter above, when measuring resistance or voltage, one lead is inserted into the COM jack(black) and the other lead into the red jack marked VΩmA with the rotary switch used to select the appropriate range of voltage(AC or DC) or resistance value. To measure currents in the range of mA with a maximum of about 300mA for some meters (It is usually indicated on the manufacturers manual for the particular meter), the COM jack and red jack marked VΩmA is used. However, if a higher current is anticipated with a maximum of 12 Amps, the leads are inserted in the COM jack and the red jack marked 12A. As shown in the picture for the Fluke 77 digital multimeter, the jack marked VΩ and the COM jack on the right of the picture are used for measuring voltages, resistance and for testing a diode. The two jacks on the left of the picture are utilized when measuring current, either in the 300mA or the 10 ampere range. Autopolarity function that indicates negative readings with a minus sign when the leads are connected incorrectly without any damage. If you are looking out to buy a digital multimeter, endeavour to look out for all these features and much more to ensure you get value for your money. One of the most common uses of multimeters is for continuity test. A Continuity testing determines if an open, shorted or closed circuit exists in a circuit or device whether electrical or electronic. On a VOM multimeter, “zero” means a closed circuit has been detected. The display needle moves to the far right side of an analog scale; “zero” reads “0.00” on a digital multimeter.